Grand Theft Auto Mission Pack #2: London, 1961 is a freely distributed mission pack, also known as an expansion pack, to the original Grand Theft Auto 1 and London, 1969 - requiring both to play. A screenshot of Grand Theft Auto: London 1961. Just as the first mission pack did, London 1961 uses same game engine as the original Grand Theft Auto 1. The game takes place in London eight years before the events of London 1969. The mission pack as implied includes new missions, 22 new vehicles, one new cutscene, and a new multiplayer deathmatch map based upon the UK city of Manchester. While London 1969, is available for multiple systems, London 1961 is only available for PC, as downloadable freeware (a 7MB executable file). However, it requires the user to have both Grand Theft Auto 1, and GTA London 1969 (which itself requires GTA1). London 1961 is the least known game in the series, simply because the game was not heavily promoted by Rockstar, is only available as a download, and does not feature prominently on the Rockstar Games website. The game relies upon word of mouth and internet discussion forums to become known to fans of the series. 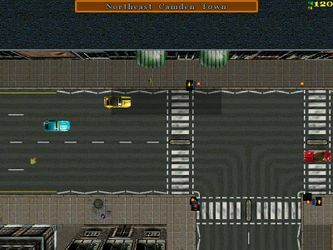 GTA London 1961 and GTA London 1969 are the only games in the GTA series to be set outside of the United States. In addition, these games are also the only GTA games not set in a fictional city, instead in the real-life city London. Chronologically (as far as the story), this is the earliest Grand Theft Auto game. This, along with Grand Theft Auto Advance are the only two games in the series that were not released for a PlayStation-series console. Grand Theft Auto: London, 1961 download (direct link to .exe) - This can be found on the official website by clicking on the black arrow flashing the word "free" near the bottom. This page was last modified on 25 March 2012, at 05:09.